Estimation of nuclear DNA content is the most frequent application of flow cytometry in plants. The growing number of publications in this field calls for an efficient tool to access and analyze the published information. Loureiro, J., Suda, J., Doležel, J. & Santos, C.V. (2007). 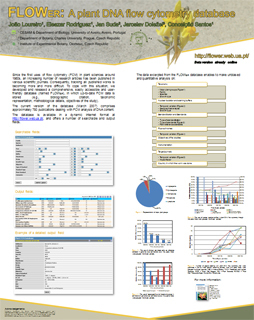 FLOWer – Plant DNA flow cytometry database. In: Doležel, J., Greilhuber, J. & Suda J. (eds.) Flow cytometry with plant cells – Analysis of Genes, Chromosomes and Genomes. WILEY-VCH Verlag GmbH & Co. KGaA, Weinheim, Germany, pp 423-438. 2008-05-13 - The XXIV International Congress of ISAC is starting already in the following 17th of May and I look forward for the event. 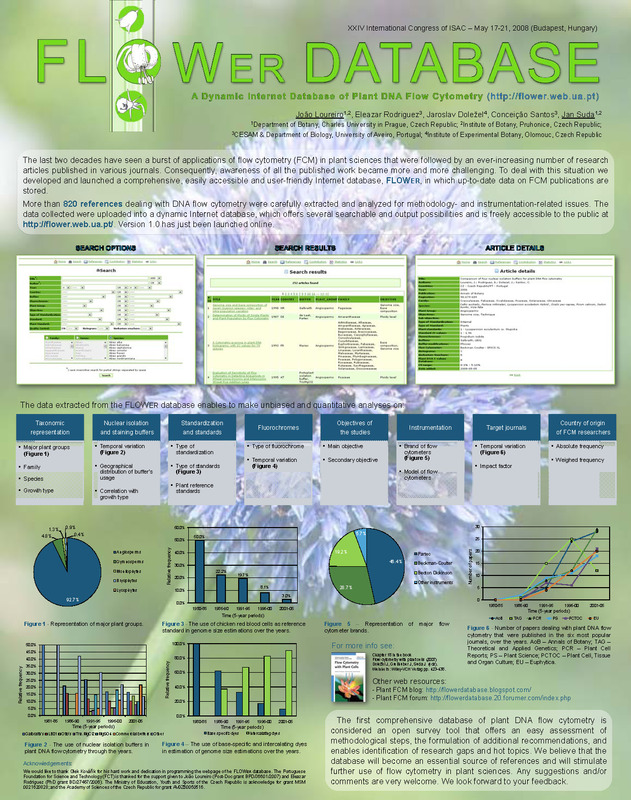 We will present a poster of the FLOWer database in the Congress. We will also make a daily report of the congress, accompanied by some documenting pictures. So keep tuned in the Plant Flow Cytometry Blog.